Despite his shock round 11 loss to David Navara, Lev Aronian has bounced back to win the Tata Steel tournament in Wijk aan Zee. He maintained his lead with a win over Boris Gelfand in round 12, before a 12 move draw against Teimour Radjabov secured a 1 point win. This draw left Radjabov in a share of second after Carlsen drew with Van Wely, while Caruana joined them with a win over Gelfand. The short draw between Aronian and Radjabov did attract some comment, as the game finished in about 10 minutes. However the other players did not seem to mind, as Carlsen was the first to congratulate Aronian after his win. I believe Aronian is now going to take a couple of months off from the tournament circuit for a little R&R, as well as to do some preparation for upcoming events. One event is a just announced match against Kramnik to take place in April. Early details of the match are here. While I mentioned that Junta Ikeda achieved an IM Norm at Queenstown in the posts covering the tournament results, I still think it is important enough to devote a separate entry to it. Junta is very popular in the Canberra chess community, and we all felt it was just a "matter of time" after a few near misses in the past. Along with Andrew Brown (who earned his IM title last year), Junta is a product of the Canberra chess scene, and is heavily involved in junior coaching, despite the pressures of his own chess career (and University studies). Hopefully he will carry his good Australian Championships/Queenstown form forward, with the upcoming Doeberl Cup and Sydney International Opens providing further opportunities for Junta to earn his IM title. Here is a salutary lesson, related to me by Bob Gibbons. 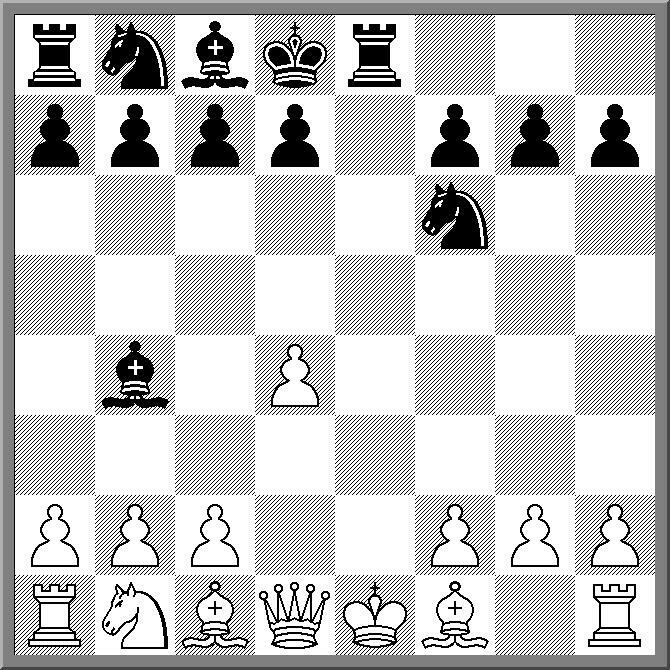 He was at an event in New Zealand when he, and his friends, spotted a game which began 1.e4 e5 2.Nf3 Nf6 3.Nxe5 Nxe4? Now most people know why this is bad, and of course the game continued 4.Qe2 Nf6 5.Nc6+ Be7 6.Nxd8. At this point they had decided they'd seen all that was needed to be seen and wandered off. When the returned to the tournament they saw that the score was down as 0-1 and thought there must have been some sort of mistake. It turns out they had left before the real fun began. Black had continued 6. ... Kxd8 7.d4 Re8 8.Qd1?? when Black ended the game with 8. ... Bb4++ and mate! Apparently those that did stay until the end said that Black behaved like what happened was the most natural thing in the world! Normally I have a bit of a moan about missing the Gibraltar tournament, but having just returned from Queenstown, I think I'll give the whinging a bit of a miss this year. Once again the event has attracted a strong field, with regular visitor Peter Svidler the top seed. However he has got off to a slow-ish start, drawing with GM Artur Jussopow in rd 2, and IM Anna Muzychuk in the third round. There are 5 players on 3/3, including "home" players Nigel Short and Michael Adams. In the 256 player field there are 56 GM's, 3 WGM's, 34 IM's and 4 WIM's. There is one Australian player, James Attwood (1.5/3) and one honorary Australian, Henrik Mortensen (1/3). The tournament again boasts a terrific website and you can see all the result and live coverage (including audio commentary) from there. At the prize giving for the Queenstown International, the Best Game Prize was awarded to Gawain Jones. It was a reasonably substantial prize of $700, donated by Grant Kerr. However some people weren't sure what game it was for, which possibly indicates that Gawain played more than one brilliant game in the tourney. However the game he did receive it for was his round 6 win over WGM Irine Sukandar, and here it is. One of the requests at the end of the Queenstown International was to have more rounds. "I was just starting to come good" was the reason, although the overall quality of the tournament was also a factor. The fact that most tournaments are 9 rounds these days is now a point of discussion at the Tata Steel event in The Netherlands. Last nights round saw Lev Aronian take a one point lead after he defeated Fabiano Caruana, while closest rival Magnus Carlsen lost to Sergey Karjakin. Remarkably for a tournament at this level, the win for Karjakin bring his record to 4 wins, 4 losses and only 1 draw. One theory is that the length of the event may be the reason the results seem a little unusual. With 4 rounds to go Aronian looks to be the favourite, with Carlsen hoping that he can recover enough ground over the next 5 days (the players get another rest after round 10). Probably the best way to get to the lives coverage is via the chessvibes website and follow the links. Yesterday started with a fire alarm sounding in the hotel at 6:00am NZ time, forcing an evacuation of the hotel. It ended after a set of delayed flights meant we arrived in Canberra at 2:00 am. Normal blogging should resume sometime in March. The 2012 Queenstown International was come to an end, in a way that please even the most impassive chess fan. With first prize on the line, the final two games to be finished in the tournament were the top two boards. Trevor Tao, untitled for the moment, was paired against top seed Li Chao, and very quickly the game reached an ending. However the players then fought it out for a further 5 hours before Chao exchanged his rook for Tao's final pawn, leaving a drawn K+B v K ending. On board 2 Hansen sacrificed a piece in the opening, and while it did not bring immediate rewards, Hansen ended up with plenty of pawns in compensation. Again resolute defence was the order of the day, with a draw being the final result. These draws allowed Darryl Johansen to catch the leaders, after defeating Gawain Jones. Jones also tried a sacrificial attack, and spurned the opportunity to repeat the position in trying to gain the full point. However Darryl was equal to the task and when Jones's attack came to halt, Johansen took the point. A great result for Darryl. but on another day Jones may have been rewarded for his inventive play. This win saw Johansen take the first place trophy on countback (most wins), after the first countback (direct encounter) did not apply. While that was happening on the top boards, there was plenty of interest further down. Chris Wallis just missed his IM norm after losing to GM Dejan Bojkov, but three other aspirants had happier tales. Trevor Tao scored his third IM norm by virtue of turning up, while Junta Ikeda and Irene Sukandar also scored IM norms. Ikeda walked a very fine line between victory and defeat before catching Eugene Schon's king in a mating net, while Sukandar did what she had to do by beating Nadig Kruttika. So Queenstown 2012 has finished on a high note for Australia, with a tournament winner, and a couple of norms. From the New Zealander's point of view, the win by Michael Steadman over Herman Van Riemsdijk has meant a new name is to be added to the championship trophy, as this was Steadman's first NZ Championship. There were also good performances by platers from both countries but they will be noted in future posts. The 2012 Queenstown International is set up for some nice final day action. The current leaders are Li Chao and Jun Zhao who are 7/8. Half a point back are Trevor Tao, Sune Berg Hansen and Darryl Johansen. Chao plays Tao, Hansen plays Zhao and Johansen plays Gawain Jones, who is on 6/8. The tournament winner can only be determined by the results on these boards. For Trevor Tao this tournament has marked yet another amazing return to chess. A very infrequent player, when he does play, he often resumes at the same strength as when he started his break. In this tournament he has already secured his IM norm (probably the last one he needs), even if he loses tomorrow. It will be interesting to see how Li Chao deals with his approach to the game tomorrow. The pairings involving the top New Zealand players will also have a bearing on the result of the New Zealand Championship. Mike Steadman did his chances no harm by beating Turkish GM Kivanc Haznedaroglu, and will play IM Herman Van Riemsdijk. IM Paul Garbett is the other joint leader, although he missed an opportunity today by only drawing with FM Max Illingworth from a position where he was material ahead. first as tragedy, then as farce! The arbiters at the Queenstown have decided to petition FIDE to declare the diagrammed position an automatic loss for both players. For the second time in 3 rounds, the final game to finish involved a R+N v R ending. The first instance involved Junta Ikeda winning it against Nadig Kruttika. Kruttika tried hard to defend but succumed on move 46 of the 50 move count. Tonight saw GM Zhao Xue try and do the same against Max Illingworth, after Illingworth lost control of a better position and surrendered a piece and 3 pawns to reach the R+N v R ending. However Max defended the position quite well and it seemed the only point of interest was how long would it take Illingworth to reach 50 moves. Once he reached move 148 (when he could claim a draw) we waited, and then waited and then waited some more. The game continued on, with no claim from either player. We began to think we would be there all night, when finally the draw claim was made, by Illingworth. The exhausted arbiters let out a sigh of relief, and the draw for round 8 was soon completed. Day 6 of the Queenstown International saw the leading group reduced to 3. The top 3 boards saw GM v GM match ups, and they all ended decisively. Top seed Li Chao defeated compatriot Xue Zhao, and Rozentalis beat Bojkov. In one of the last games to finish GM Jun Zhao found a sacrifice in a knight ending to score a nice win over GM Darryl Johansen. FM Chris Wallis, who had a 2600+ performance up to the previous round, was beaten by GM Sune Berg Hansen, but he is still performing at IM level. Canberra FM Junta Ikeda drew with IM Herman Van Riemsdijk to keep his chances of an IM norm alive. There is also the New Zealand Championship, which is running as a tournament within a tournament. The highest scoring New Zealand player(s) will win the title, although it is obviously hard to predict a winner, as standings will change depending on pairings. IM Paul Garbett had a chance to take a big lead in this event after going up a piece against GM Ganguly, but he was unable to withstand the pressure Ganguly put on his position and lost. This means that after 6 rounds there is currently a 7 way tie for the title. Following on from yesterdays observation about play on the lower boards, here is a game I felt I had to share. Getting close to move 40 White had managed to generate enough play to threaten a repetition, and indeed warned the arbiters that this was likely to happen. However just at the point he could claim, he instead played a move, and Black found a queen sac to avoid a mate, while still leaving him with a material advantage. When I wandered past later, Black had even gained another queen through promotion. 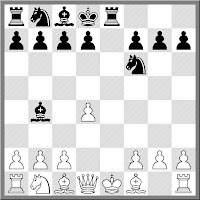 However one move changed the whole game, and suddenly White had a chance for another repetition. This he duly grabbed and the game ended in a draw which was appreciated by both players. Rather than focus on the leaders of the Queenstown International for this round, I'm instead going to look towards the back of the hall. By that I mean the lower boards of the tournament, where the chess is a little more casual, and the results are sometimes not that important. In one game today it looked as though an experienced higher rated player had an easy win against his much younger opponent. However after the first time control he made a move and forgot to press his clock. He then waited for a while, somewhat surprised that his opponent had not made the obvious reply. He then wandered off while his opponent made no attempt to move. When he returned the penny finally dropped and he remembered to press his clock. But rather than get angry he just laughed, as he realised he was to blame. And as it turned out, the easy win turned out not to be so easy as he ended up with a KQ v K and c pawn on the 7th, which turned out to be drawn via a stalemate trick. Even then he took the reversal of fortune in good spirits. A few days ago there was another example of good sportsmanship. For the tournament the clocks are using move counters to detect when the time control has been reached. For the final time control each player gets an additional 15 minutes (after move 60). At some point two players approached me and said "We need you to add time to our clock". Thinking this odd, I looked at the clock to see one player had run out of time. Having noticed that some of the old DGT clocks did not always detect the final time control properly, I asked if they had seen any time being added after move 60. Both replied no, and my calculations showed that they had missed out on the extra time. At no stage did either player try and claim (or dispute) a win on time, and were happy for me to adjust the clock and continue on. So while there have been plenty of hard fought and stressful games at the top end of the tournament, the games down the bottom are of no less importance to the overall success of the tournament. We're just about to reach the halfway point of the Queenstown International, which is the traditional time to start the 'norm watch'. These is where the possibility of players earning title norms starts to excite serious discussion. Of course it is possible to go too early on this, for example where a 2/2 start is being talked up, only to end in rapid disappointment. At the moment there are a few players who are already well placed for norms. Chris Wallis, Trevor Tao and Irene Sukandar are already performing above the IM performance level. In fact they are all performing above 2500, as are IM's Akshat Khamparia and James Morris. As both of these don't need the IM title, there eyes are set on the more difficult to achieve GM norm. But such is the cruel nature of chess that one unfortunate reverse can dash any hope of earning a norm. Even worse is when two aspirants are paired together, meaning that one may well be put out of the running. However for know, both the size and the strength of the field seems to have stopped this from happening. The third round of the 2012 Queenstown International has been completed, and there are still 13 players on a perfect score. Top seed Li Chao defeated Canberra FM Junta Ikeda in a game where 1 wasted tempo made a significant difference. On the second board GM Gawain Jones drew with IM James Morris, while GM Sune Berg Hansen scored the same result against WGM Irene Sukandar. Two young Australian players scored upset victories to join the leaders with Pengyu Chen winning against IM Herman Van Riemdisjk and Chris Wallis beating GM Kivanc Haznedaroglu. Also joining them on 3/3 is Max Illingworth who had a nice win over WGM Nadig Kruttika. Full results for the event can be found at chess-results.com, while live games and blogging can be found at the tournament website. A very long first day has almost come to an end. With a long time control and a 3:00 pm round start, I suspect there will be plenty of post 11pm finishes. Even is today's supposedly 'easy' round, there were a couple of games that went over the 6 hour mark. The day itself got off to a surprising start, with the hills around Queenstown covered in snow. Although the snow didn't make it all the way down to the town, the cold made my morning walk quite bracing. After a bit of exercise, the next few hours were spent making the playing hall ready for the tournament. A lot of this was due to the need to correctly program the clocks, but fortunately this should only need to be done once. A last minute technical check of the broadcast/blogging systems, a 20 minute opening ceremony, and we were under way. With 74 games in progress I though there would be a number of upsets, but it tuned out that there were only a few. Ryan Louie scored the first in from the bottom half beating Quentin Johnson, while Jean Watson win over her higher rated opponent caused some distress (for the opponent). There were also a number of semi-upsets (ie drawn games), with Hans Gao drawing an ending(!) with IM Stephen Solomon, and Jamie-Lee Guo splitting the point with WIM Sue Maroroa. It would also be remiss of me not to mention (and in fact show), the following draw between Harry Press and IM Russell Dive. The title of this post is actually a little misleading, as getting the 2012 Queenstown International underway has been pretty smooth so far. Today was registration day, with most of the 148 player field arriving at the venue. There were a couple of players who have yet to appear, which explains the players at the bottom of the draw. This can sometimes cause some difficulties in the first round, as often players miss the registration due to events beyond there control, but are able to play the next day. Under these circumstances the players do get paired, but only after the rest of the games have started. The other major activity was the testing of the live broadcast system. The tournament will be showing the top 7 boards each round, and today's test showed that the new DGT Live system has solved a large number of set up problems. Running the new software under Ubuntu, it was a simple matter of plugging in the boards and clicking a few buttons. The tournament will start at 3pm NZ time, which is 1pm Canberra time. The top seeds are paired against a number of 1900+ rated players, with Karl Zelesco up against tournament top seed Li Chao. Visit the tournament website for the live coverage as well as live blogging from the venue hall. There is still two days to go before the Queenstown International starts, and already there is plenty of excitement. My journey got off to less than auspicious start when I checked in at 7:30 am to be told I (and my son) had been moved to a 7:05am flight. The Virgin staff were fantastic in fixing the problem, which turned out to be caused by the simple fact I didn't read the email informing me of the flight change. We were shifted to a later flight and made the international connection with time to spare. Having never flown into Queenstown I wasn't prepared for the landing procedure, which reminded me of the rebel attack on the Death Star. The very large plane we were flying on swerved its way over, around and between the mountains, before touching down in the pouring rain. It was hardly surprising that this was met with a generous round of applause, and disappointing the kid at the back who was shouting "We're all going to die". However I was substantially better off than tournament organiser Paul Spiller. Travelling to Queenstown with the entire tournament packed in his van, he was within 40kms of his destination when he was hit by another van who lost control on a bend. Although everyone walked away from the accident, the van was un-drivable. It took a few phone calls from tournament sponsor GM Murry Chandler to get the van to the venue, although it was on the back of a tow truck. Fortunately the tournament equipment was undamaged, although we had to shake the broken glass out of the boxes as we carried it into the tournament hall. I'm heading off to New Zealand tomorrow, to be on of the arbiters at the Queenstown International. I'm assuming I'll be able to access the net at various stages of the journey, so hopefully blogging will not be interrupted. I am actually planning to try the whole social media thing, with Facebook/Twitter/Blogging all on the go at the same time. I'll also be equipped with a video camera and an iPad so hopefully there will be youtube as well. In terms of the tournament, entries have passed to 140 mark. Li Chao is the top seed, with honorary Kiwi Gawain Jones seeded second. Indian GM Surya Ganguly is the third 2600+ player in the field, I expect the winner to come from this group. The other thing to note, for participants anyway, is that cold weather is predicted for the first few days. However for the sizeable Canberra contingent making the trip across, this is not so much a worry as last night was the coldest January minimum on record, with the temperature dropping to 1.6 degrees! The CCLA (Correspondence Chess League of Australia) is looking for a new Games Editor for its magazine Australian Correspondence Chess Quarterly (ACCQ). The magazine is published 4 times a year, and is sent to all members of the CCLA. The job of the Games Editor is to select and annotate games for the magazine. These are usually games played in Correspondence events, although some OTB (Over The Board) games do get included as well. The concept of a prize for the "Best Played Game" is probably on the way out, in part because it is a difficult to manage. Apart from the usual reticence of players to put their own games forward for judging, judging the games themselves can be difficult. In the old days a Master would normally be roped in to run his eyes over a few games and choose one to his liking. However spare Masters can sometimes be hard to find, especially ones that can quickly make a judgement in the frenzied rush towards the prize giving ceremony. The other option is to run them through a tame computer program, and choose the one that the computer finds least objectionable. The difficulty with this approach is that there will almost always be moves that are "second best", and without sound judgement, such findings may colour the overall impression of the game. They did have a "Best Played Game" prize at the recently completed Australian Championship, but I am not aware of who won (possibly because I missed the announcement). However the organisers did put up a file of games that were entered, and I have picked one from this list. It is a win by New Zealand FM Michael Steadman over Pengyu Chen. Some may think the game lacks a certain subtlety, but it is the kind of chess I like to see. After the banning of the Rybka program (plus other penalties) by the International Computer Games Association in the middle of last year, the discussion seemed to go quiet (assuming you didn't read boards devoted to chess programming). In part this was because a number of key people on the Rybka side, including Chessbase, seemed to have nothing to say on the matter. After 6 months, the debate has started up again, as Chessbase have finally broken their silence on the matter. Dr Soren Riis, a London based Computer Scientist, has written an article challenging the findings and methodology of the ICGA's investigation. The ICGA has then wasted no time in firing back, and the debate has now reached the familiar stage where both sides are arguing their strengths and ignoring their weaknesses. Of course those on the sidelines could be forgiven for thinking that the issue is too confusing to ever get a straight answer, but at least for me, this would be wrong. Despite the observations by Dr Riis, I am still of the opinion that Rybka was initially based on Fruit, and therefore needed to remain as an open source program. By not doing this, Vasik Rajlich has broken a number of rules, although based on statements attributed to him, it seems he did not understand the rules he was breaking. Probably the best place to follow this for now is at Chessvibes, as they have statements from both sides of the issue. GM Darryl Johansen is the 2011-12 Australian Champion, for a record 6th time. He drew with IM Aleks Wohl in the final round of the tournament, which gave him a final score of 8.5/11, a full point ahead of the second place group. He was the only player to go through the event undefeated, scoring 6 wins and 5 draws. His two most important wins were against the top two seeds, GM Zong Yuan Zhao, and IM George Xie, especially as they both finished in a tie for second. The other two second place getters were IM Stephen Solomon (who drew with Johansen in round 2), and IM Vladimir Smirnov (a draw with Johansen in round 7). It is interesting to note that 4 of the top 5 finishers played for Australia at the 2010 Olympiad (GM David Smerdon could not play in the Championship due to overseas study commitments). The win by Johansen is a popular one, judging by the discussions I've had over the last few days. While there has been a little bit of 'reverse age-ism' in some comments I've seen ("Those old blokes can still play"), I would like to think it also has a lot to do with Darryl's long and consistent chess career. From his early days as a junior in Melbourne (where my father may have been one of his opponents), he has been at the top or near top of just about every major event in the country. Certainly for any one who started playing chess from the early 80's onwards (as I did) he, along with GM Ian Rogers, has been one of the 'Big 2'. Even when the wave of new young players came along, he has more than held his own, as the current tournament has shown. Normally we enter chess tournaments with the expectation that our entry fee contributes to the prizes we hope to win. This is almost the raison d'etre for handing over the dough in the first place, although the fact that some of it goes towards administration costs is accepted, albeit grudgingly by some. The notion of paying money just to play a game is a much rarer thing, although there are clubs that charge nightly fees. However we do do this, at least for rated games of chess. Both in Australia, and internationally, each rated game attracts a charge. Of course this charge is usually considered part of the tournament costs, rather than as a direct charge to the players. Now I don't see anything wrong with this, and it provides a valuable revenue stream for governing bodies. In fact years ago one Australia state association allowed it's rating officer to keep a percentage of such fees, which in turn resulted in him encouraging as many tournament as possible (and as many players as well) to be part of the ratings system. Therefore the decision by FIDE to create rating lists for Rapid and Blitz tournaments makes sense, to themselves anyway. By extending the per-game charges to cover as much chess as possible, they increase their revenue base. At least from 2013. For now they are running both systems at no cost to organisers, as a way of building up a critical mass of players on the list. And while I'm not sure how popular the system will be once the charges kick in, I am happy to take advantage of their largesse for the next 12 months. As I organise more rapid events than anything else (both at Street Chess and the ANU Chess Club), I going to put as many tournaments as possible through the system. Today's Street Chess tournament should be the first one rated, and with 24 players, is a good one to start with. I just wonder if the attraction of an International Rapid rating will make a difference to the enthusiasm levels of the local players. While this years Australian Championship seemed notable for the number of young players who made it in to the final field, it is the older players who occupy the top places after round 9. With two rounds to play GM Darryl Johansen leads by half a point from IM Stephen Solomon and IM Vladimir Smirnov. Johansen had a quick draw with IM Moulthan Ly while Smirnov dashed Junta Ikeda's hopes of an IM norm with a good win. Solomon ended GM Zong-Yuan Zhao's hopes of winning the tournament, leaving the top seed a point and a half off first place. IM George Xie is alone in fourth place after a slashing win over FM Michael Steadman. The good results of the veterans has also carried over to the Reserves tournament. FM Doug Hamilton is a 3 time Australian Champion, but his rating has fallen below the level required (2150) for automatic entry to the Championship (Note: Players rated below 2150 were accepted in the championship but I do not know whether Hamilton applied to play in Championship). He is on 7.5/9 and a win in this tournament would guarantee a return to the top flight in 2 years time. Not long until the start of the 2012 Queenstown International. At this stage there are 140 players, with 60 from the home country of New Zealand, and 52 from Australia. Of the titled players there 11 GM's, 11 IM's and 11 FM's. Curiously (from a numerical point of view) there are also 4 WGM's, 4 WIM's and 4 WFM's. The organisers are putting together the final touches of the online coverage, with the live broadcast of the games being the centrepiece. There will also be live blogging from the venue so those that cannot make it can at least still participate in a small way. Of course it isn't too late to enter, although cheap air tickets for overseas players may be hard to come by at short notice. However if you are still thinking of going then entry details can be found at the tournament website. GM Darryl Johansen has taken the outright lead in the 2011-12 Australian Championship. After beating top seed GM Zong Yuan Zhao in round 6, he defeated 2nd seed IM George Xie in round 8. IM Vladimir Smirnov, who shared the lead with Johansen in round 7, walked into a mate in 1 against IM Stephen Solomon to fall back to equal second, a point behind. Solomon's win pushed him into a share of second, along with Zhao, who defeated Domagoj Dragicevic in this round. Tomorrow is the second rest day for the tournament, with the Australian Lightning Championship and the Australian Chess Federation's National Conference filling the day for this with an interest in that sort of thing. This may seem a little morbid, but I've taken to checking the years in which famous chessplayers died. Not because I delight in such things, but to track the copyright status of anything they may have written. These days the standard is that copyright lasts for 70 years after the death of the author (it used to be 50 years). There is some grey area based on the change from 50 to 70, but I think 70 is a safe bet. As the copyright period extends up until the end of the calendar year (not to the actual date of death), any works by an author who died in 1941 or earlier are now in the public domain. The most significant player who died in 1941 was Emmanuel Lasker. However he didn't write a lot of books so I don't expect a deluge of reprints of his works. Next year Capablanca's writings enter the public domain, but he wrote even less than Lasker, so no gold mine there either. My main interest in public domain chess books is not being driven by any budgetary constraints, but by the hope that more content becomes available for electronic platforms. I think it would provide a nice entry point into the world of chess literature if a number of classic books could be downloaded and read on portable devices. Round 6 of the 2011-12 Australian Championship saw a real shake up in the standings when the top two seeds, GM Zong Yuan Zhao and IM George Xie, both lost. Zhao was beaten by 5 time Champion GM Darryl Johansen, while Xie lost to Russian IM Vladimir Smirnov. These results leave Johansen and Smirnov leading by a full point, and the two will play in round 7. Zhao and Xie are on 4 points, along with Ikeda, Solomon, Dragicevic, Cheng and Ly. Two players facing an important game tomorrow are Ikeda and Dragicevic, who are paired against each other. Dragicevic beat IM James Morris, while Ikeda won an 'all-or-nothing' attacking game against IM Aleks Wohl. Both players have good chances of scoring an IM norm, and a win for either would significantly improve their chances. Seen during Street Chess on Saturday was a neat endgame trick from the following position. Clearly Black has an advantage, due to White's pawns being fixed on the white squares, but hops of locking out the Black king means a breakthrough is still required. To achieve this Black found the following tactical sequence. 1. ... f5! 2.a4 fxg4 3.fxg4 Bxg4! 4.hxg4 h3 5.Ba6 e4+! blocking the h1-a8 diagonal and allowing the h pawn to queen.